Oscar Gutierrez came to the United States from Mexico about 15 years ago. He came as a young teenager to live with his brothers. Oscar married his U.S. citizen wife 11 years ago, and they have 2 U.S. citizen children. After marrying, his wife applied for him to gain lawful status and the application was approved. Several years later, Oscar began to struggle with alcohol and received 3 convictions for Driving Under the Influence. He had been sober for 2 years and was going to Alcoholics Anonymous when he was stopped for driving without a license. His license had been suspended due to the previous DUIs. He wasn’t able to get a ride to the AA meeting that day, so he drove himself and was subsequently stopped for driving without a license. Meanwhile, Oscar’s wife suffers from severe diabetes. She has been repeatedly hospitalized, including for a stroke and a coma that required her to be on life support. Oscar has found her passed out several times in the floor after slipping into a coma. She is no longer able to work due to her medical problems. Oscar is still in AA, and he received a stay of removal that will soon expire. But due to his old convictions, no judge can consider the individual circumstances of his case: his rehabilitation and participation in AA, his 2 U.S. citizen children, and being the breadwinner and primary caretaker for his ailing wife. Instead, he is subject to mandatory deportation. 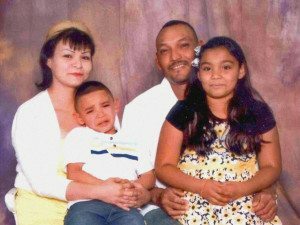 His wife needs depends on him for her very survival, and the family fears that if he is unable to remain in the U.S. she will not survive.